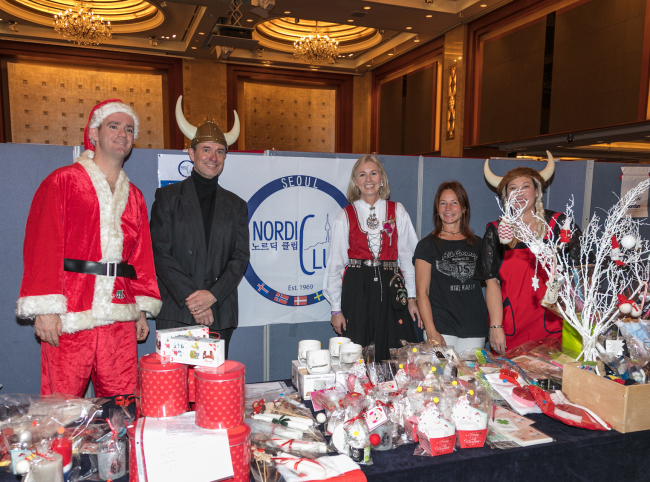 The Seoul International Women’s Association will organize its 56th annual SIWA-Diplomatic Community Bazaar under “Share Culture, Share Love, Share Life” on Nov. 12 from 10 a.m. through 2 p.m. at Lotte Hotel. The event is one of the largest fundraisers in Seoul, attracting thousands of locals, expats and tourists. Last year, over 30 embassies and several expat organizations, local businesses, sponsors, welfare groups and SIWA volunteers worked together to create a welcoming international experience. The individual admission fee of 5,000 won -- cash only -- will go to support 10 local charities, including orphanages, shelters for the homeless and homes for the disabled and senior citizens. Last year, SIWA donated 20 million won ($17,800) to the All Love School for multicultural students. “The bazaar is an incredible opportunity for SIWA, the diplomatic community and other expat organizations to come together in the spirit of giving back to our host nation Korea,” said SIWA President Robin Carney. Since the 1960s, the bazaar has been a cornerstone of Seoul’s rich charitable tradition, raising over 3 billion won in total. Each year, several dozens of volunteers and sponsors help organize the event. SIWA is Korea’s largest and longest-running international women’s organization, established in 1962. Additional information can be found at www.siwakorea.com/siwabazaar/ as well as www.facebook.com/SIWAkorea.